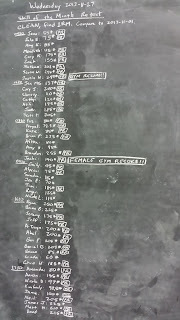 Just wanted to share this truly awesome picture of our WOD board from our Skill of the Month retest @ the end of November! The skill was the clean, tested by finding your 1 rep max. Excellent job guys! Can't wait to see how everyone does on the next skill of the month! 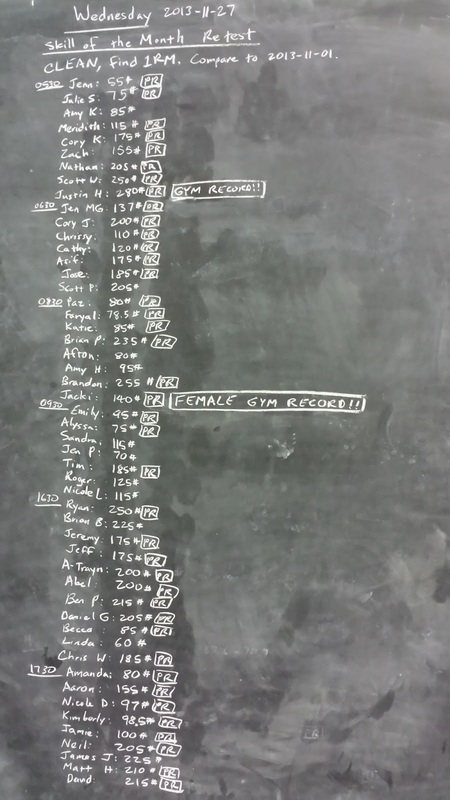 Remember, ring (or dumbbell) push up retest is on Monday, December 30th!